Breakfast. Well, what can be said that you haven’t already heard before? It should be the first meal you eat upon waking up and is claimed to be the most important of the day. They are convenient foods that go hand-in-hand with our bustling and busy society. 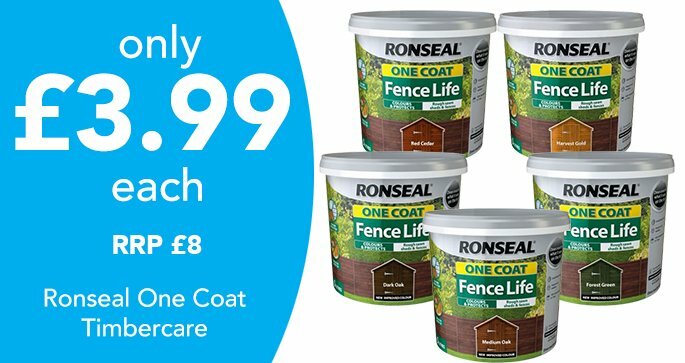 It's something quick and easy, that can be shovelled into your gob before you grab the keys and head out the door to work/school. With the vast importance placed upon it, it’s no wonder how popular cereals are nowadays and how much variety we have! 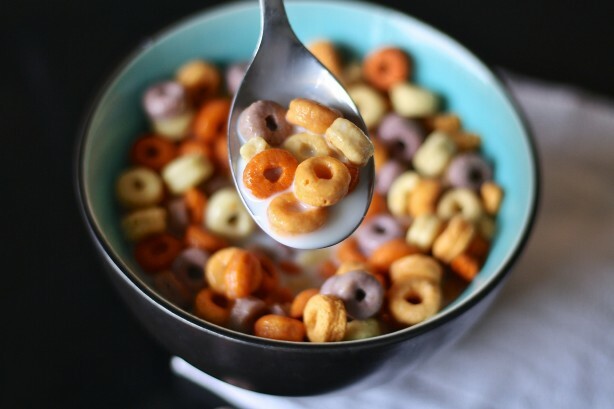 Being one of the most popular and common choices for our morning meal, cereals have boomed through each passing generation, coming in all sizes, shapes, and flavours. Yes, cereals truly dominate breakfast time. 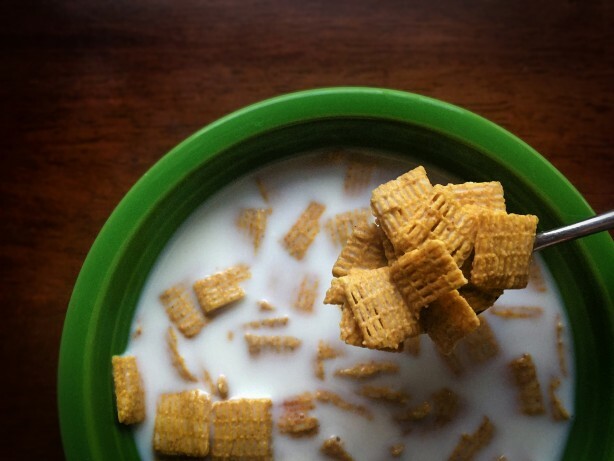 When Were Breakfast Cereals Invented? So, to this day we have breakfast cereals that go from borderline sweets in a box, to health-foods, to everything in-between. In fact, it might surprise you to know that the concept of breakfast cereal is actually quite new in the grand scheme of things, having only been around for 150 years. But, where did it all start? In America. 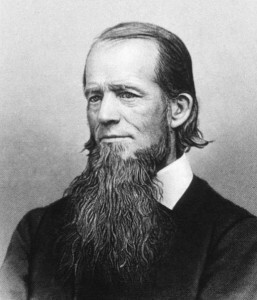 That’s right, in 1863 a man named James Caleb Jackson (pictured above), a devoted religious vegetarian, created the basis of what we now know to be breakfast cereals. Running a popular wellness retreat in western New York, Jackson was an advocate for healthy living and saw the idea of eating pork chops and other red meats for breakfast was terrible for one’s health. He decided to provide his guests with a ‘better’ alternative; Granula. No, not Granola, but Granula. It was a type of grain cake and built like a brick. It was essentially a large block that was so solid you needed to soak it in milk overnight, and then the next morning you’d break bits off and crunch into it. It tasted as good as it sounds. 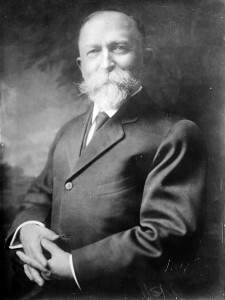 The flavour only really improved once John Harvey Kellogg (pictured above), a skilled surgeon and someone as big on health as Jackson, decided he liked the idea of Granula and took Jackson’s concept. Kellogg made an oaty wheat biscuit, incorporated a rolling process to improve the taste, and used it in order to further promote the benefits of a healthy lifestyle (as well as one promoting sexual abstinence, but that’s a tale for another time). So what of Granola? Well, to avoid being sued for using the name Granula, Kellogg decided to change the name… to Granola (very original, right? ), and from there his success snowballed. Despite the taste, Granola was sold to those outside his retreat and was soon selling almost 1.8 tonnes a week. From there Corn Flakes were invented shortly afterwards due to a stroke of serendipity, and the rest is ancient cereal history. As wide a range as breakfast cereals there are, it also means there are various cereals, or grains, out there. Different types of cereals can grow in different environments, like all plants. Some are well-versed in surviving the frigid subarctic and Siberia, such as Barley and Rye, whilst some can withstand the ups and downs of British weather, where one moment it’s content and warm, the next it’s cold with a strong wind. How they are cultivated is also quite diverse. They’re usually annual plants, where one would produce one yield for harvest. 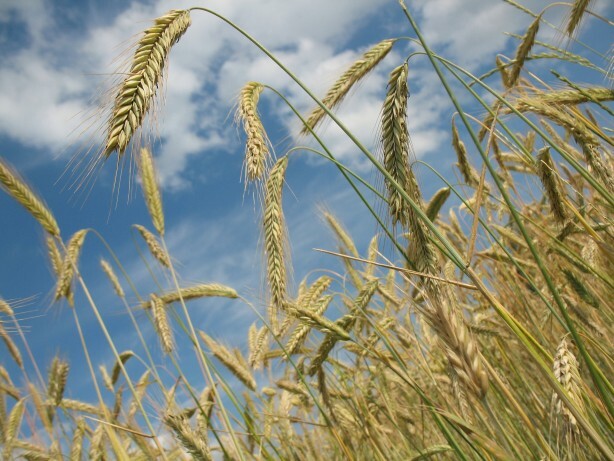 Though, as mentioned before, there are many different types; wheat, rye, barley, and oat, to name just a few, are “cool-season” cereals, meaning they’re hardy enough to grow in grim British weather, but not very well in anything slightly hot (30 °C, but it depends on the plant). Essentially, these plants are just like the Brit humans who grow them, once the heat gets turned on a tiny bit it suddenly becomes a chore to do just about anything. Wheat, one of the major cereals we use in breakfast cereals, can be cultivated in many different soils and can be grown with ease around the world. That might have something to do with the vast amount of it and the ease of obtaining it. However, to grow it successfully it requires extremely fertile soil, and that means it needs a good amount of humus content (soil that’s had slightly decayed organic stuff in it). However, barley and rye, for example, can be grown in soil that's less fertile. One similarity barley and wheat do share, is that that both have a winter and a spring variety. The winter one usually produces better crops, more likely to have side shoots, and can allow new shoots to form before any cold weather comes around. But what am I talking about? As interesting as hearing about how grains are cultivated is, I bet you want to know the practicalities of breakfast cereals. What cereal can do for you and your health! I’m being super cereal when I tell you that they’re an important part of a balanced diet. Whether you wish to believe it or not, the fact is that having breakfast in the morning is more important to your mental health than it is to your physical. Sure, you will have the energy and the boost in physical fitness from a hearty breakfast, but without it, you will most likely find yourself feeling “hangry” and a bit glum too. With cereals like Alpen Oat Granola, you can see they’re high in fibre, and also low in saturated fats. That is exactly what you want to be putting into your body in the early morning. Like adding fuel to a fire, adding good nutrients that can be found in cereals fuels your own body to seize the day! 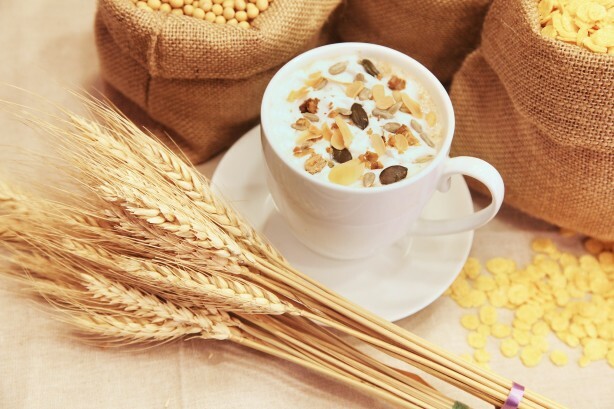 Most cereals are low-fat and full of nutrients and vitamins, such as iron and B vitamins; you also can find the power of grains within cereals, as wholegrains provide you with so many benefits it could warrant its own blog post. Wholegrain provides you with fibre, and lots of it. 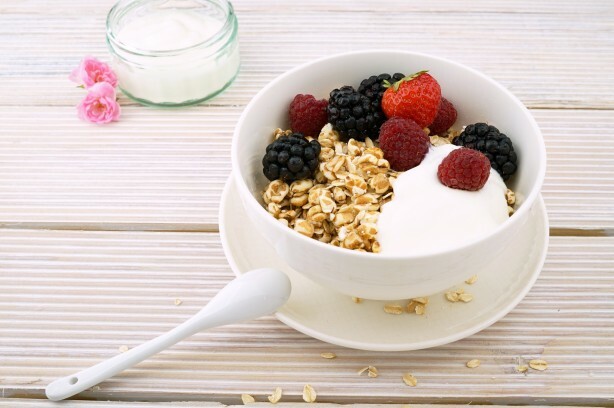 An adult needs around 25 to 35 grams a day, which you can get a kick-start to with a bowl of Quaker Oats or Weetabix. Fibre has been known to control blood sugar, lower cholesterol, and actually can promote better bowel moments (gross but important). Also, due to wholegrains containing lactic acids, it allows stronger digestion, which means you absorb more of the good stuff into your body, boosting your immune system which then can help fight off nasty diseases, especially in the colon. Also, cereals make you feel incredibly full. 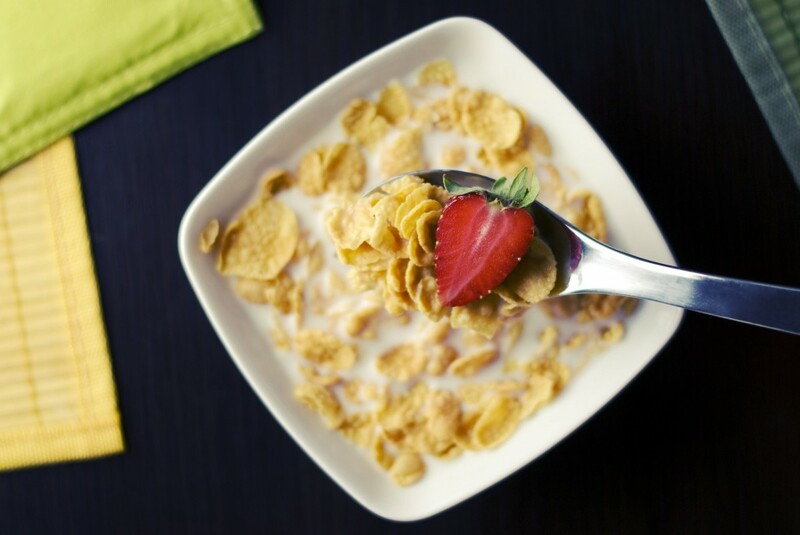 So, there’s no need to have a muffin or light snacks shortly after breakfast once you’ve had a bowl of Shredded Wheat, meaning a better breakfast can help your weight too. To make a long story short; in the morning, that moment after 8+ hours of not eating anything. Want a more detailed and serious answer? Well, there are many great times to eat breakfast, and all of them can be worked into your daily life, be it on weekends or weekdays; it all depends on what you want to gain from it. Breakfast is important for your metabolism to get kick-started, so eating it right after you wake up is a good start. However, if you exercise in the mornings and want a high athletic performance, then the best time to eat breakfast would be an hour or so before you hit the track. It will mean that you won’t fear any sort of cramp, and by that time the nutrients and energy from breakfast will be coursing through your body. Also, make sure you eat within one hour of waking up. Eating at that point allows your energy levels to go right up and gives you more energy for an active morning. Due to having been in a sleeping state for so long, your blood sugar is naturally going to be low when you first begin to rise, so eating before that 60 minute window closes means you won’t suffer a blood sugar crash. Where Should Cereals Be Stored? 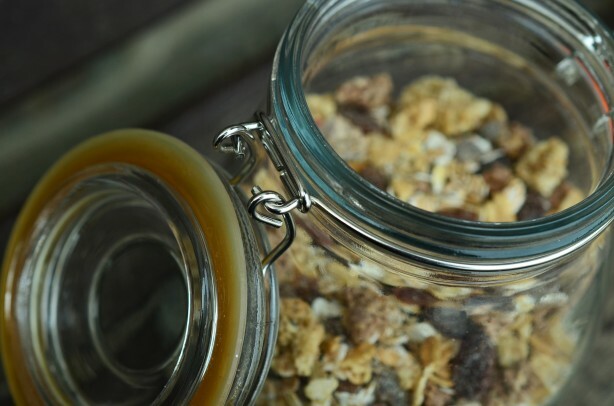 Now, you may know when to eat breakfast, where cereal came from, and so on; however, storing cereal is a major part. If you don’t store it right, then what happens? 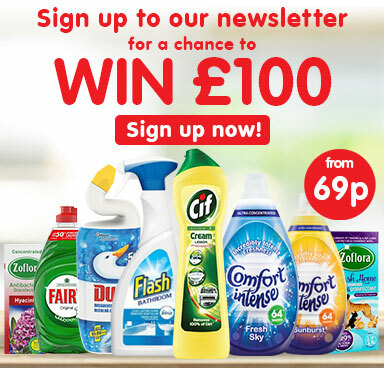 Nasty, manky, soft cereal that will end up getting binned, that's what. What a waste of money and food that would be, right? So, here are some quick tips to better store your cereal, which is perfect if you buy in bulk. It’s always best to store an unopened box of cereal in a cool, dry place, such as a cupboard. For how long? Well, until the expiration date is the basic answer, but usually you can store things that way unopened for about a year; it’s at that point the taste starts to deteriorate. But, what if you’ve opened the cereal bag already? 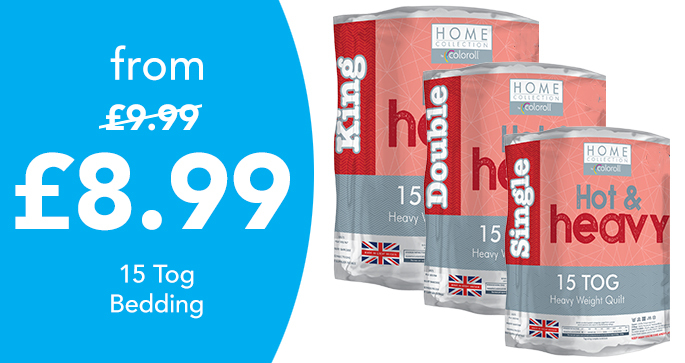 You don’t want air to get in and soften those Coco Pops or Honey Monster, right? Well then, just seal it with a plastic clip after rolling the top down a tad. Voila, now you can keep it this way for about a week without fear of it ruining. Either that, or store the bag, box, and all into an air-tight storage container, making sure to put it in a cool, dry place as always. If you follow those tips, every member of your family will have great tasting, crunchy, delicious cereal. 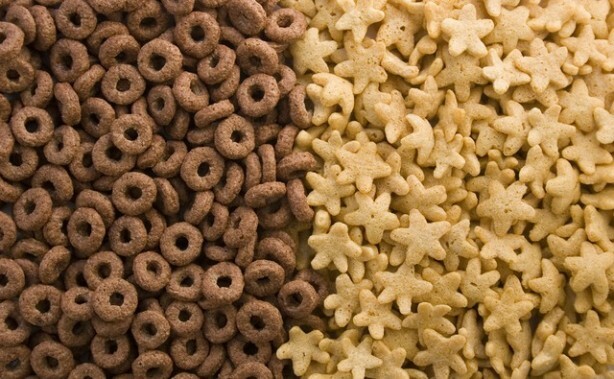 So, where can you buy all these great tasting cereal delights? 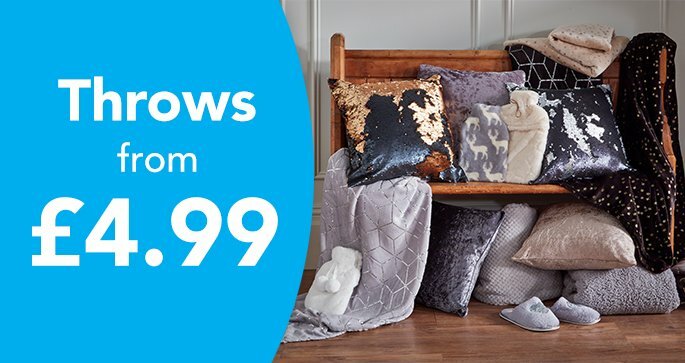 At Poundstretcher of course! 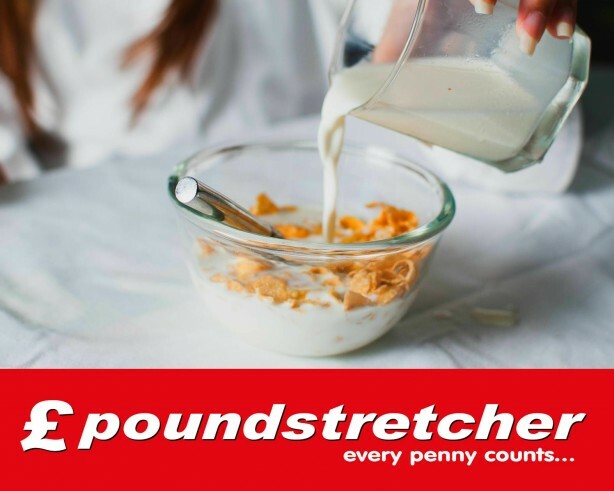 We have a wide range of branded cereal products, such as Nestle, Kellogg's, Quaker Oats, and many more all with different tastes and varieties. No matter the age, we have a cereal to suit everyone! Why not nip on down today and stock up your cupboards with tasty cereals featuring cartoon wolves, a cockerel, or heaps and heaps of grains and fruit? 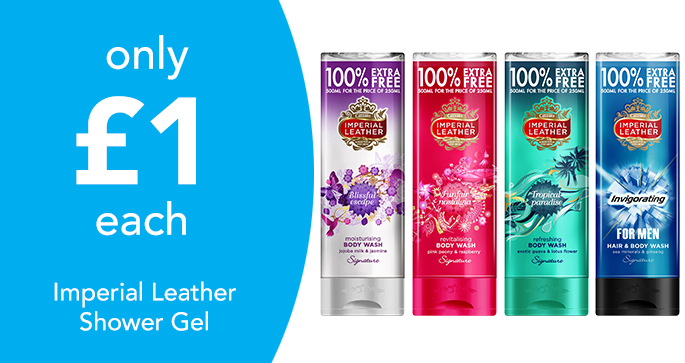 Ideal for when you and your family need that fuel to get you through the start of each and every day. 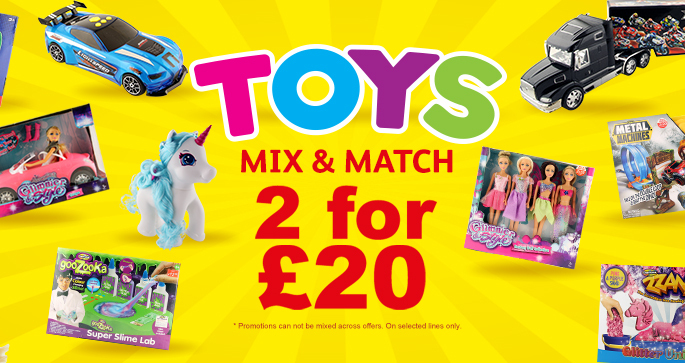 You can find your nearest Poundstretcher using our handy Store Finder! 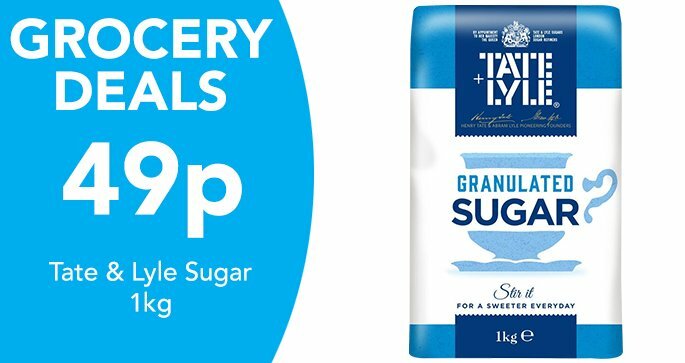 So, with your new quick guide to cereal, you can hunt out the best bargains and deck yourself and your mornings out the right way!